Our MSc is delivered with St Christopher’s Hospice, which provides skilled and compassionate palliative care of the highest quality. We offer a range of qualifications in our palliative care programme, from standalone modules to an MSc. There are various core and optional modules available to suit your interests or learning needs. Research and evidence are central to every module on this course. The Cicely Saunders Institute has an extensive programme of research, and you can get involved with these larger projects. We also support you to publish the findings of your research and contribute to the evidence base. The course is flexible so you can register to study full time or part time. That means you can study at your own pace while continuing to work in a health or social care setting. We also offer the option to change your registration (for example from PG Diploma to MSc) as you progress through your studies and your learning needs evolve. This course incorporates leading research and innovative and evidence-based practice. It is delivered by the Cicely Saunders Institute in partnership with St Christopher’s Hospice. Our programme is open to any professional working in palliative care or with people facing advanced illness. Palliative care is a multidisciplinary speciality involving doctors, nurses, and allied health and social care professionals. We believe our students learn best in a classroom reflecting that range of professions. Our aim is to develop your competence and confidence in caring for patients with advanced disease, while supporting people close to them. Within your practice, you need to be able to critically evaluate the evidence behind different palliative care treatments. This is why there is such a strong focus on research and evidence-based practice in our programmes. Please note: The course runs from January to December. If you are an MSc student, you will take a total of 180 credits. If you are a PG Dip student, you will take a total of 120 credits. If you are a PG Cert student, you will take a total of 60 credits. If you are an MSc student or a PG Dip student, you are required to take all of these modules. If you are a PG Cert student, you are required to take two of these modules. If you are an MSc student or a PG Dip student, you will choose two modules from the list of options below. If you are a PG Cert student, you will choose one. For part-time students: with the exception of Research Methods and Statistics in Palliative Care, which you will take in your first year, you may choose which year you will take each module. If you are an MSc student, you must take your Research Study Project in your second year. Part time MSc students should expect to study 90 credits a year and PG Dip students 60 credits a year. Many of our graduates have gone on to become leaders in their field, to make significant contributions to patient and family care and to influence palliative care policy locally, nationally and internationally. Many have used this course to progress their careers from specialist training registrars in palliative medicine to challenging and exciting consultant posts in hospital, hospice and community settings, and a growing number of clinical nurse specialists are now nurse consultants. Increasing numbers go on to conduct PhDs in palliative care related areas and the course has given to some exciting opportunities to conduct high quality research which has successfully been disseminated at scientific meetings or high quality, peer-reviewed journals. 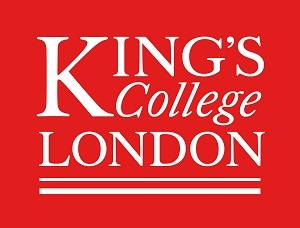 Visit the Palliative Care MSc/PG Dip/PG Cert page on the King’s College London website for more details!